As one of the industry’s top style professionals, Catherine has crafted a unique expertise in helping clients identify and create the perfect style to reflect their most authentic identity. With services ranging from personal Fashion Feng Shui consultations and Closet Detox to finding the perfect fashion looks to represent a brand or bring an editorial spread to life, Catherine has attracted a diverse clientele from all over the world. Her styling work has been seen on magazine covers, television, fashion shows, brand lookbooks, and individual clients’ everyday wardrobes. 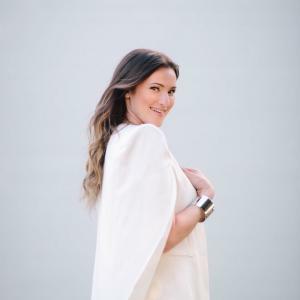 As a style expert, talk show contributor, wardrobe stylist, and editor/author of The Life Styled blog, Catherine is continually inspired by her clients and the beauty in styling people’s lives for the better.